I’d be lying if I said I didn’t have preconceived notions of the word “nuclear” when I started at ASME, oh so many years ago. And I’m willing to bet that as you read this you can’t help but have a visceral sentiment or two yourself about the word. Let’s face it, “nuclear” packs a punch. But I’ve always been one to believe that few things in life are black or white, so while I may have been inclined to fall on one side of the discussion back in the day, few things for me are absolute. In my way of thinking, points of view surrounding nuclear power are too often on the fringes and that’s lamentable because conversations on the fringes bring out heightened and sometimes ruffled feelings instead of salient and respectful exchanges of perspectives. Because I’ve always probed—even my own beliefs—my perspectives on nuclear power have never been overt. Biases aside, however, the significant role of ASME in the development of safety codes and standards is undeniable. ASME’s Board on Nuclear Codes and Standards oversees eight committees that have issued 22 nuclear codes and standards. At the heart of these committees are almost 1,300 dedicated volunteers who spend hours working on these activities. In this issue, we help celebrate the 50th anniversary of Section III of the ASME Boiler and Pressure Vessel Code. The Code represents one of the most notable ways that ASME makes its mark on global safety. It is—and ought to be—a point of pride. Besides celebrating the anniversary of the ASME safety codes program, in this issue we also showcase an article more than a year in the making. 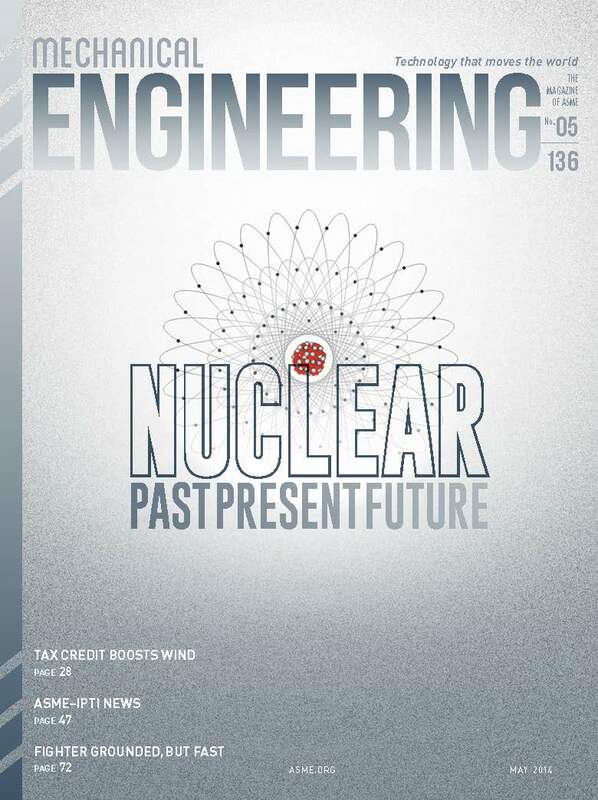 Senior Editor Jeff Winters worked with Ken Balkey—whom I’ve gotten to know well over the course of many years—on a forward facing article looking at the future of nuclear power. Balkey is a consulting engineer at Westinghouse Electric Co. and he’s also senior vice president for ASME Standards and Certification. Balkey and Winters, working with co-authors Barbara Snyder and Theodore Meyer, have come up with an insightful article, “Nuclear’s Next 40 Years,” that I encourage you to read. You might imagine that publishing an article like this can be challenging. First because we want to make sure we get it right, and then because the authors work at Westinghouse, and working on an article with a large multinational can often be tricky, as the vetting process can be difficult. But Winters tells me the experience was positive overall, and because he’s our resident energy expert—and resident skeptic—I believe him. Each day brings new nourishment to our perspectives on different matters. We hope this issue of Mechanical Engineering provides more nutrients for your own perspectives on a critical element in the discourse over global energy—whichever way your preconceived notions might otherwise sway you.